The Melitta FilterPads are specifically designed coffee pods to enable coffee lovers to make their own blend of coffee using single serve coffee makers. Maybe questions are coming out of your mind “Why use these FilterPads"? 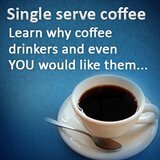 The answer is simple and direct: the Melitta FilterPads are engineered so that one can make their own blend of coffee using ground coffee ingredients that can be used in any single serve coffee maker mentioned above. Not like when using coffee pods make by the Perfect Pod Maker which also provides convenience but will cost you a lot at $39 dollars (a sunk cost), the FilterPads will only cost you $5 for 50 pieces of it and comes with an instructions manual, which you can see is a lot cheaper. 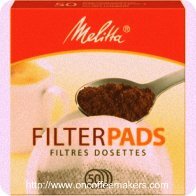 By the way, there is also a limitation in using the Melitta Filterpads. It is only advisable to put up to 7 grams of coffee into it while using the Perfect Pod Maker gives you an edge of up to 11 grams, but still, it is not a big deal in coffee making experience. What about brand wise? 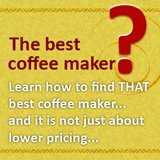 Is Melitta better than Perfect Pod Maker? 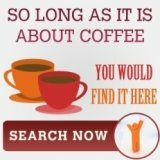 Melitta coffee maker comes from highly reputed manufacturers of coffee maker industry. The price range for the usual Melitta coffee makers are $19 for the basic type and up to $99 for new models equipped with programmable timer designed for different coffee blends. 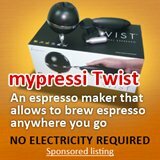 They even have the so called Melitta mill and the Melitta mill and brew which is very popular and preferred by many due to its durability, economical, and user friendly features that will surely satisfy any coffee lovers around the world. In short, Melitta is known for its coffee expertise, so I guess if you want to make your own coffee pods, this is a device that you can be well assured of.